While sifting though emails and press releases this morning, I came across one from Microsoft and almost spit my coffee at my monitor. The Halo game that was teased last year at E3 finally has a name and release window. 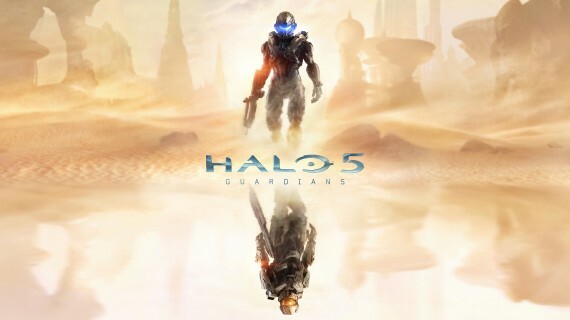 The game is titled Halo 5: Guardians and will be released fall of 2015 on the Xbox One. The game will feature a brand new engine running at 60 FPS (whether it is native 1080p was not stated). Halo 4 showed off a fantastic tweak to the art style showing a natural evolution to the Spartans and their program. The announced box art (shown above) shows off the venerable Master Chief, but down played to who ever is standing right side up. It will be interesting to see if this is a new protagonist, the end of Master Chief, and what became of the UNSC Infinity. The Steven Spielberg collaborated Halo live action series will also debut next year, presumably to lead up to the release of Guardians. 343 Industries is calling this the “Halo Journey” and that the journey will start this year, possibly with a Halo title launching this year, a Halo 2 anniversary edition maybe (Please, yes!)? Details surrounding this “Halo Journey” will be announced during Microsoft’s E3 briefing on June 9th. As a rather rabid Halo fan I am quite excited by this announcement. I am hesitant on the multiplayer side of things to be honest. While Halo 4’s multiplayer was fun, it felt like they were trying to copy the Call of Duty mold and offer loadouts and slightly faster game play. Halo has never been about that, it was about map memorization, weapon hierarchy, and fun vehicle combat. I hope 343 take the multiplayer to the series roots while continuing to evolve the campaign. Halo 4 was a video and audio splendor, while bringing out lore from the books and encompassing the universe as a whole. I am excited to see what 343 will show off at E3 and if we will get our first glimpse of Halo 5: Guardians in real time.